Whether it’s providing a band-aid for a scraped knee or equipping their cars with safety seats, parents are the first line of defense for their children at home. This October, as part of National Fire Prevention Awareness Month, Energizer and the International Association of Fire Chiefs (IAFC) are asking Moms and Dads to take a vital step to keep their kids safe at home – Change Your Clock Change Your Battery®. 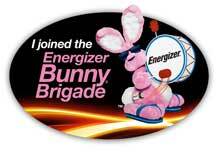 Throughout October, Energizer is inviting parents across the country to join the Energizer Bunny® Brigade on Facebook (www.facebook.com/energizerbunny) for a chance to win free smoke alarms and batteries for their home or a grand prize of a home fire safety makeover. It’s a fun way to get people thinking about an important topic – home fire safety – and sharing positivity within their communities. “As parents we’ve got a lot on our minds-- jobs, busy schedules, filling hungry tummies so it’s easy to let home fire safety slip from our radars,” says Melissa Gerstein, host of NBC’s Moms And The City. “You never think a fire will strike your home, but it certainly could and it’s important to take as many proactive steps as we can to protect our families. Daylight saving time ends on Sunday, Nov. 6. As families change their clocks, it’s a good time also for families to review their home fire safety plans, starting with changing the batteries in their smoke and carbon monoxide detectors. Energizer and the International Association of Fire Chiefs are asking families across the country to join them in this year’s Change Your Clock Change Your Battery® campaign. Firefighters work tirelessly to help reduce the risk factors by educating their residents on the importance of having a working smoke alarm. In many communities, fire departments are able to distribute free batteries to citizens in need as a result of the Change Your Clock Change Your Battery® program. Over the past 23 years, Energizer has donated more than four million batteries to local fire departments. The Change Your Clock Change Your Battery® program just one of the ways Energizer brings to life the company commitment to making a positive impact in communities across the country. For more information, please visit nowthatspositivenergy.com. “Each year, thousands of lives are forever changed due to the devastating effects of a home fire,” said Chief Al H. Gillespie, president and chairman of the board of the International Association of Fire Chiefs. 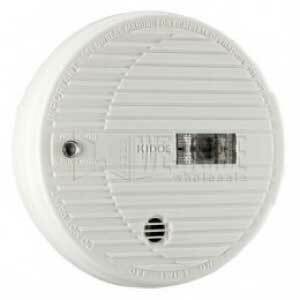 “A working smoke alarm is an important defense for surviving a home fire. That’s why public information and education efforts being undertaken by fire departments with the support of Energizer is a vital component to keeping communities across the nation safe and sound. Families are encouraged to use the extra hour “gained” to remind their friends, family and neighbors of the life-saving habit of changing and testing smoke alarm batteries, and to help those who may need assistance. Energizer Holdings, Inc. , headquartered in St. Louis, MO, is one of the world’s largest manufacturers of primary batteries, portable battery-powered devices, and portable flashlights and lanterns. Energizer is a global leader in the dynamic business of providing power solutions with a full portfolio of products including Energizer® brand battery productsEnergizer® MAX® premium alkaline; Energizer® Ultimate Lithium; Energizer® Advanced Lithium; Rechargeable batteries and charging systems; and portable flashlights and lanterns. The IAFC, www.iafc.org, represents the leadership of firefighters and emergency responders worldwide. IAFC members are the world's leading experts in firefighting, emergency medical services, terrorism response, hazardous materials spills, natural disasters, search and rescue, and public safety legislation. Since 1873, the IAFC has provided a forum for education, the exchange ideas, and the promotion of community and firefighter safety. Disclosure: I received the Smoke Alarm Prize Pack from Energizer to thank me for my participation. No other compensation was received. This product review is based on my own personal experiences with this item and is completely honest and objective.